Why is Ethiopia in 2011 when the world is in 2018? – Satenaw: Ethiopian News & Breaking News: Your right to know! | Ye Dallas Radio! - የዳላስ ራዲዮ! You are here: Home News Why is Ethiopia in 2011 when the world is in 2018? – Satenaw: Ethiopian News & Breaking News: Your right to know! Comments Off on Why is Ethiopia in 2011 when the world is in 2018? – Satenaw: Ethiopian News & Breaking News: Your right to know! 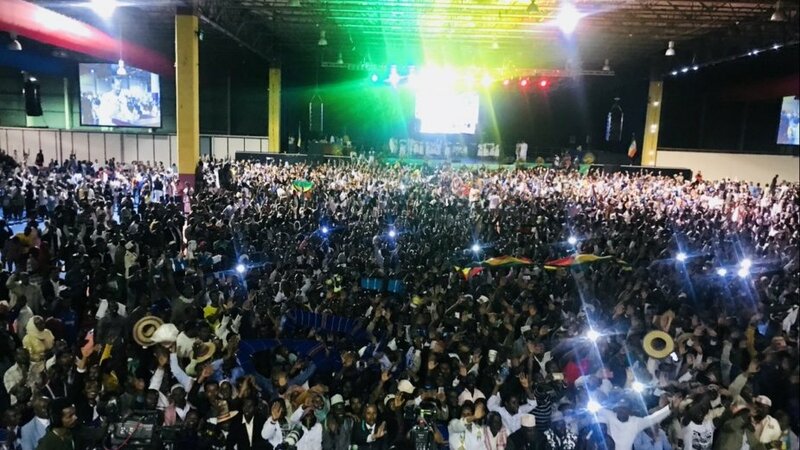 Why is Ethiopia in 2011 when the world is in 2018? – Satenaw: Ethiopian News & Breaking News: Your right to know! Why is Ethiopia in 2011 when the world is in 2018? Today is September 11, 2018, and you may be going through your normal routine. But for Ethiopians, they have just entered the year 2011 as they celebrate their New Year. As part of celebrations, the army of Ethiopian troops and their Eritrean counterparts have been marking the day at their common border. The leaders of both countries on Tuesday re-opened crossing points on their shared border for the first time in 20 years after two decades of hostilities between the two countries. Ethiopia’s Prime Minister Abiy Ahmed and Eritrean President Isaias Afwerki opened the frontier at Bure, a region that witnessed some of the fiercest fighting in the late 1990s, Reuters News Agency reports. This is to enhance trading activities for both countries after the two reconciled early this year. 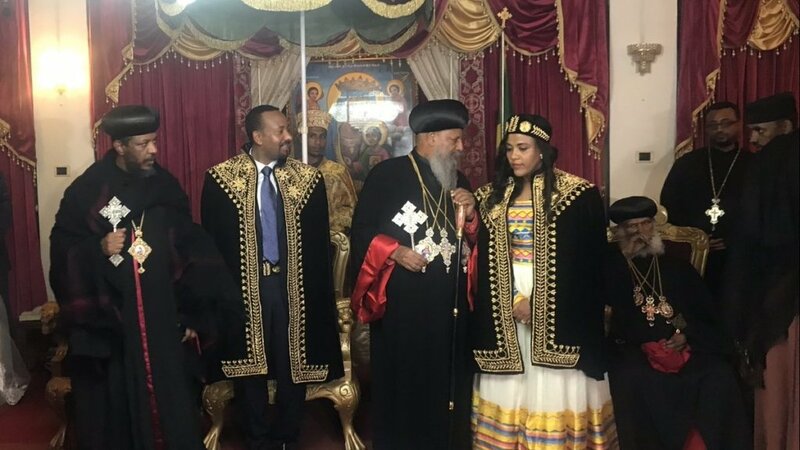 Before this, Ethiopian Orthodox Tewahedo Church on Monday recognized Prime Minister Ahmed and First Lady Zenash Tayachew with a special award for bringing peace and reconciliation to Ethiopia, Eritrea and the region. 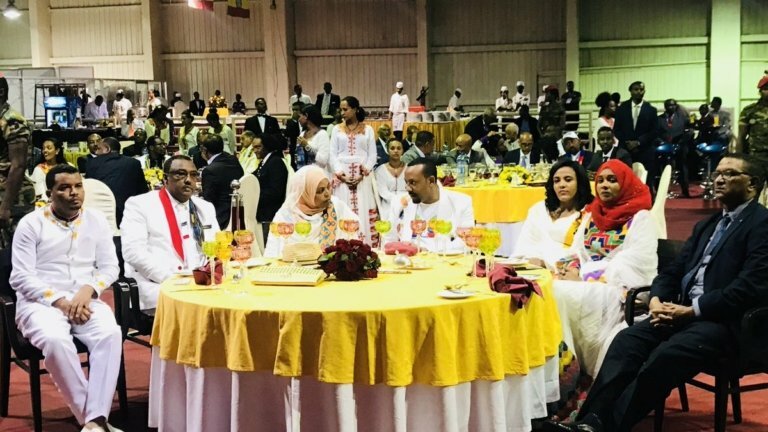 As Ahmed and the Afwerki celebrate Ethiopian new year together at the border with their troops, large celebrations are also being held across the country to mark the day. But why is Ethiopia seven to eight years behind the rest of the world? The Horn of Africa nation follows a calendar similar to the ancient Julian calendar, which started disappearing from the West in the 16th century. The world has adopted the Gregorian calendar, a calendar constituting 365 days in a year and 366 days in a leap year. However, Ethiopia uses the Coptic Calendar, which puts it years behind the rest of the world. The difference in year numbering is because the Ethiopian Orthodox Church disagrees with the Roman Catholic Church about when Christ was born. Thus, in contrast to the Gregorian calendar, which is factored in the calculation of the year in which Jesus was born, the Ethiopian Church adopted a calendar tied to the calculation of the Annunciation (Jesus’s conception, not birth) arrived at by Egyptian monk-historian Annianus of Alexandria. A year in the Ethiopian calendar is 13 months long, with 12 months of 30 days each. The last month has 5 days in a common year and 6 days during a leap year. As in the Julian calendar, a leap year in the Ethiopian calendar happens every 4 years without exception. While most Christians celebrate Christmas on December 25, Ethiopians celebrate Christmas on January 7 alongside many Orthodox Christian churches around the world. “…Because of the adaptation of the Coptic Calendar, the country of Ethiopia celebrates New Year on September 11th! This is because the Ethiopian Calendar, as stated above, follows the Coptic Calendar which was fixed to the Julian Calendar in 25 BC by Emperor Augustus of Rome with a start date of 29 August, thus establishing the New Year on this day. “Here, September 11th is in accordance with the Gregorian Calendar; in other words, it is September 11th for the world except Ethiopia, where it is August 29, the New year,” explained in an article on Mind Blowing Facts. Ethiopia’s use of a different calendar has always created confusion for foreigners visiting the country and for international organisations as well. Foreigners have often complained of how tedious it is to keep appointments with locals due to the differences in the local and European time.